Neotel Complaints. 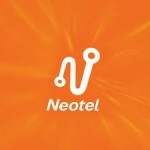 If you are having an issue with Neotel please post it here. Please keep the comments clean and polite. Good luck with the cancelation. They will do everything in their power to make sure you pay for the cancelation. They charged me over R2000 to cancel even though they were in the wrong! I am experiencing exactly the same! What a useless breed! Telkom is not much better. Spent 5 weeks trying to get them to fix a non-functional telephone and ADSL line for a business. Good luck. I just agreed to pay the R1300 on my account. Getting rid of Neotel Services once and for all is worth the cash. In a perfect world Neotel would not charge this cancelation fee considering it is their fault but what can I say…. my guess is this company in going down rapidly so all ethics have flown out the window. Neotel Executive Escalations department have been notified about your complaint! Neotel speed in each area seems to fluctuate depending on signal and congestion. Post your speed as often as possible to give others a heads up when purchasing in a selected area. Neotel speed up to 73kbps this morning. Still no call from Neotel. Called the call centre twice last week and still no changes to the speed and still no attempt to resolve the issue.